Remote controlled flapping bird robot. 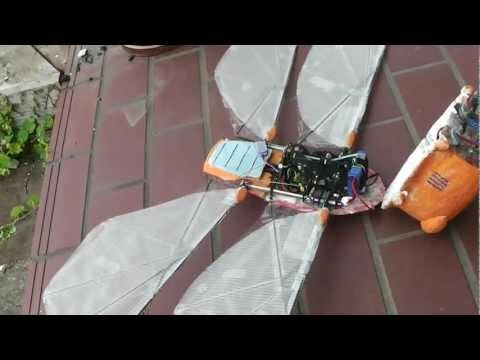 It has just over a meter wingspan, weighs 193 grams, and it flies by flapping its wings. The majority of its components are 3D printed. If that’s not impressive enough for you as is, consider this. 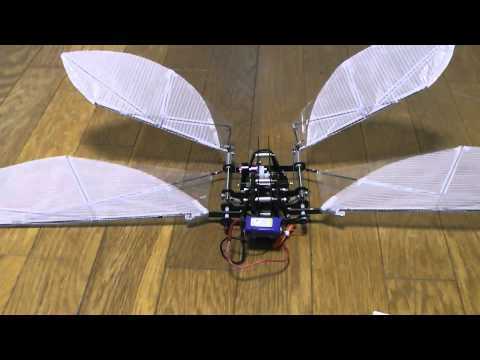 It it has no sensors, no gyroscopes or anything — it’s all manually controlled by Kazuhiko. 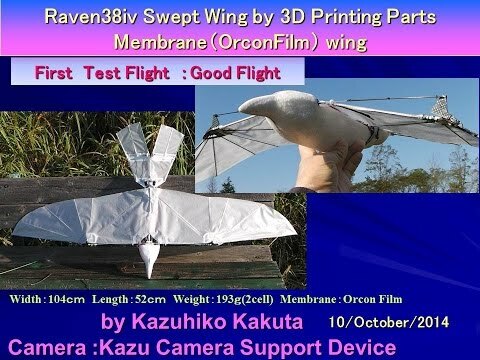 Previously we’ve only seen an ornithopter this large like this one done by Festo, which makes Kazuhiko’s work even more impressive.